On Sunday night, the Boston Red Sox clinched the 2018 World Series championship in game five against the Los Angeles Dodgers by a final score of 5-1. 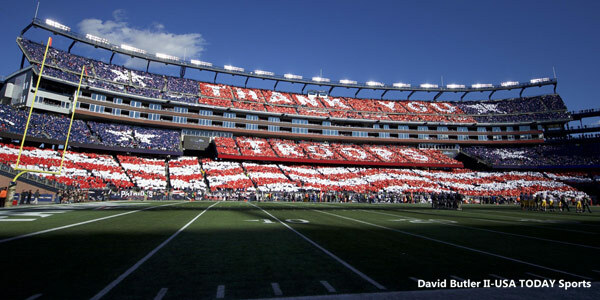 Throughout the game, current and former members of the New England Patriots showed off their support over social media. RED SOX ARE BACK AT IT!!!!! This entry was posted in 2018 Patriots Regular Season, Patriots Twitter and tagged Cordarrelle Patterson, Deion Branch, Devin McCourty, Dont'a Hightower, Donte Stallworth, James White, Joe Andruzzi, Kyle Van Noy, Lawyer Milloy, Rosevelt Colvin, Tedy Bruschi, Tom Brady on October 29, 2018 by Robert Alvarez. 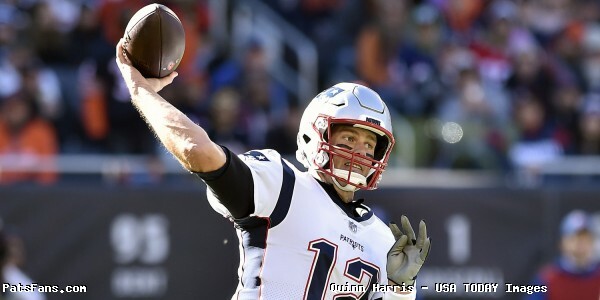 When the New England Patriots arrived in Cleveland for Week 5 of the regular season, it marked not only the return of quarterback and leader Tom Brady, but a homecoming of sorts for wide receiver and Kent State University graduate Julian Edelman. After going 3-1 without Brady, the Patriots were looking to get back on track with a win against the win-less Browns. Defensive end Jabaal Sheard chose an interesting way to wear a Brady jersey. His brother and law, and former Red Sox Kevin Youkilis tweeted out his support before the game. What became noticeable right away was the enormous support of Patriots Nation on the road in attendance. 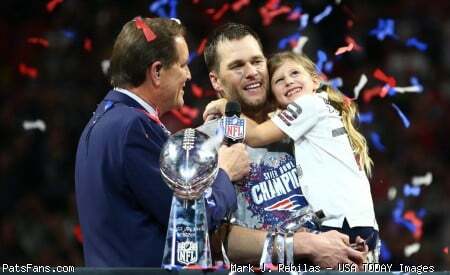 The Brady family was ready to go. Brady to Gronk is back! Yeah, Brady’s first drive showed little rust. Martellus Bennett was walking all over the Browns defense on Sunday, a career high three touchdown receptions. But the spikes could use a little work. Dont’a Hightower sent Browns rookie Quarterback Cody Kessler into last week, he would leave the game following this safety. Charlie Whitehurst now in at QB for Browns. The Browns have now used 5 QBs in the first 5 weeks of the season. Double team Gronk, no problem. Brady to Bennett for six AGAIN, and the Patriots are already making this one ugly three minutes into the second quarter, up 23-7. Bennett didn't try a second Gronk Spike. 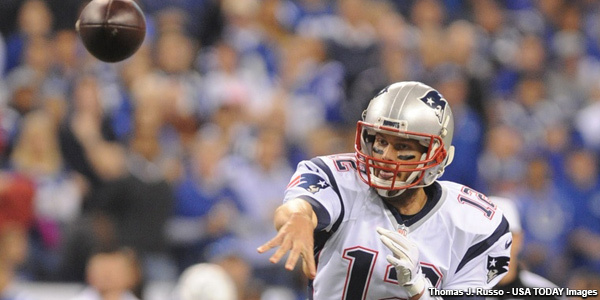 Tom Brady has completed passes to SEVEN different receivers in the first-half of his first game back. 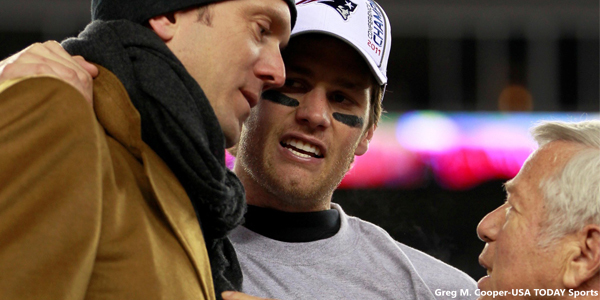 Wes Welker could see a ball today. Despite the Patriots rolling right along into a halftime, kicker Stephen Gostkowski continued to battle a case of the shank, causing more panic something is wrong. #Patriots K Stephen Gostkowski now has 3 misses in 2016. He missed that many all of last season. Third missed field goal in four games for Stephen Gostkowski. This is becoming a problem. Martellus Bennett won people a lot of fantasy football games. Now that’s a legal victory. The verdict is in: in the two regular season games that followed a court decision involving Tom Brady, he threw 694 yards, 8 TDs and 0 INTs. It was safe to say Brady had an immediate impact on the season. In 2.5 games Jacoby Brissett had 400 passing yards. Brady has 406 passing yards today. With the 33-13 victory the Patriots move to 4-1 on the season and return home to play the Cincinnati Bengals at 1pm on Sunday, take it away TB Times. Paying homage to one of the GOATs w @RobGronkowski and @jabaalsheard ! Squad showing respect to the great Jim Brown! This entry was posted in Patriots Commentary, Patriots News, Patriots Video and tagged Chris Hogan, Chris Long, Jabaal Sheard, Julian Edelman, Lawyer Milloy, Martellus Bennett, Rob Gronkowski, Sebastian Vollmer, Stephen Gostkowski on October 10, 2016 by Robert Alvarez.